We are pleased to announce the official side-events for the 2018 Partners’ Forum. 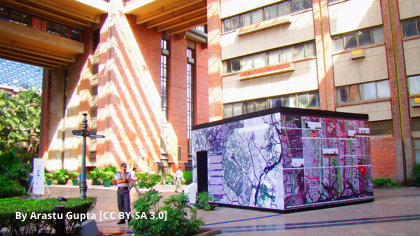 All official side-events will take place on 10 and 11 December at the India Habitat Centre. Please note that some of the details might be subject to change. We encourage you to visit this page regularly. How do self-care interventions for health enable people to take control of their bodies and to address stigma and discrimination at both individual and health-care levels? Do they enable people to be agents for social change? What is the role of self-care interventions in attaining universal health coverage and closing the financial gap in health service provision? This session aims to raise awareness of the progress on normative guidance, research and advocacy work for self-care interventions for health, and to discuss its implications and considerations for adolescents and young people. Health professionals, medical scientists and social researchers will discuss the need to change the power dynamics between different stakeholder groups and to increase individuals’ decision-making capacity. Partnership between different stakeholders and interprofessional collaboration are required for this agenda to be successfully implemented. Reducing preventable child deaths is a key target of the Sustainable Development Goals. Despite remarkable progress over the last few decades, nearly 15,000 children under age 5 (mostly the marginalized and disadvantaged) still die every day, the leading causes being small and sick newborns and pneumonia. In addition to lack of access to quality health care, both these conditions are strongly linked to factors such as poverty, malnutrition, lack of safe water and sanitation, and environmental health. This session aims to: generate greater political momentum for ending preventable child deaths; promote multisectoral partnerships focused on small and sick newborns and pneumonia; create a platform for knowledge exchange between different constituencies, partnerships and countries; and galvanize trackable commitments by Member States, partners and stakeholders (including non-health sector partners) to fast-track action to end needless child deaths. Martha Gartley, Oxygen Access at Clinton Health Access Initiative, Inc.
Leaving no woman, no child behind: what evidence on inequalities in RMNCH is needed to advocate and act? What can be done with existing data on reproductive, maternal, newborn and child health to generate powerful messages about inequalities that can be used for advocacy, action and accountability? What information and evidence are most important? What information and evidence are less important? What are the most effective ways to communicate information and evidence? It is anticipated that participants in the side session will leave with a better understanding of these issues. How are countries ensuring quality, equity and dignity (QED) in the RMNCAH services provided in public and private sectors, placing women and children at the centre of the quality movement, irrespective of their geographical location, caste and wealth? How have countries integrated respectful maternity care? How are they addressing financial, social and cultural barriers to the delivery of quality preventive, promotive and curative health services? This session will review and highlight key QED issues and discuss gaps related to QED in the context of RMNCAH. It will foster learning and share evidence and best practices on QED in the context of vulnerable and hard-to-reach populations across the globe. A key objective is to pave the way for synergy between all global-, national- and provincial-level partners (public, private and community groups and civil society organizations) in working towards improving the quality of RMNCAH care. How important is developing an early childhood development (ECD) workforce for implementing the Nurturing Care Framework at scale? What are the benefits of fostering multisectoral collaboration among the ECD workforce? How can the quality of the ECD workforce be improved? What challenges face the workforce in each sector in delivering quality services? What structural elements and operational barriers affect the implementation of solutions to improve the ECD workforce? This session will make concrete links across sectors, exploring the multiple roles undertaken by frontline workers, and the ways in which the system supports/impedes collaboration. Given that frontline workers from health, nutrition, education and other sectors often work together to support young children and their families, concerted efforts are required to strengthen these links. Developing a network of ECD professionals across multiple sectors will enable conversations to continue beyond the session.